What a great evening! 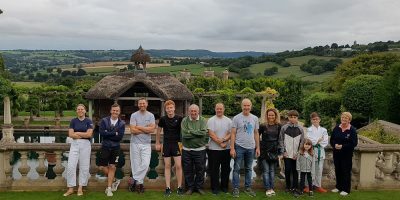 After being shown around the amazing manor by our hosts Voitek and Alicja we had our session with the evening nicely rounded off by the BBQ!! Many thanks to our hosts!!! Josh Medals in Western Area Open!! 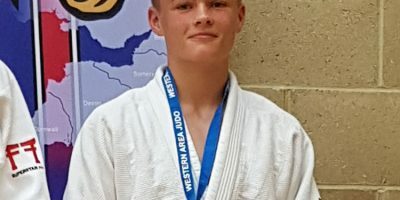 Well done to Josh Richter who after an early defeat convincingly won his remaining 3 fights, combining Ippon throws, great ground work and contest awareness to take Bronze in the BJA Western Area Open! 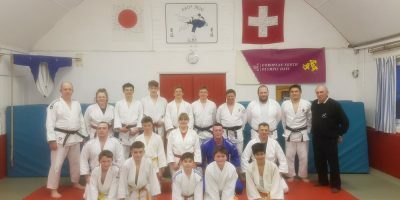 Competition was strong with top clubs from the west country and further afield well represented. Markos Constantinides, Ethan Hawtin & Ethan Foster all picked up valuable experience fighting at this high level of competition. 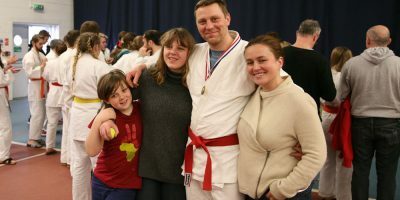 Voitek win’s gold in his first competition in the 90Kg Orange Belt and below category in front of his very proud family! 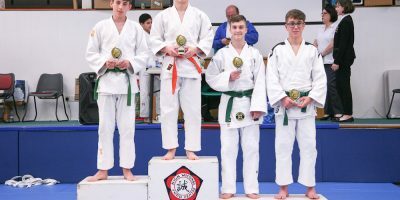 Ethan produced some stunning, crowd pleasing throws for ippon before narrowly missing out on a chance to fight for gold. Thanks to Bristol University for putting on this inaugural competition for Kyu and Dan grades!